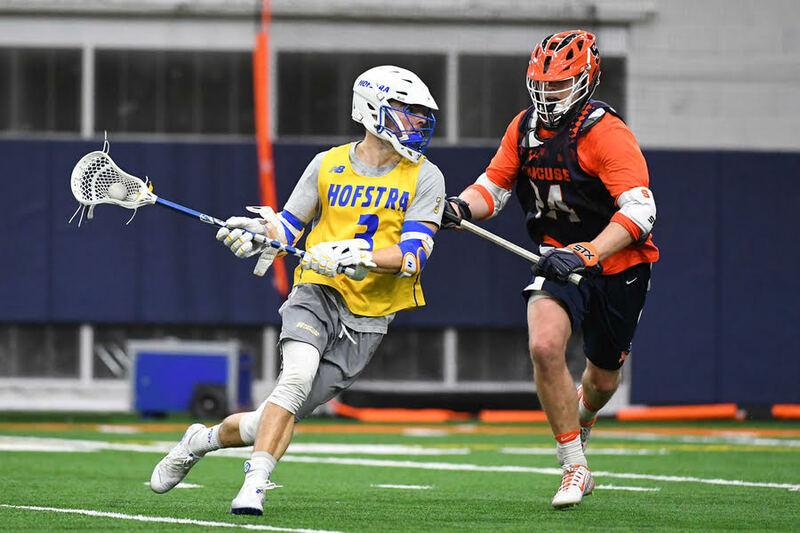 His entire college career (and some of his time in high school as well), Dale Stasco played lacrosse. 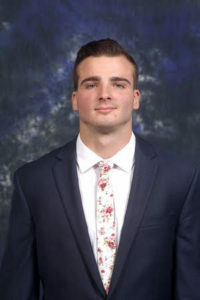 As a freshman, he played for Saint Joseph’s University in Philadelphia, Pennsylvania, transferring to Hofstra in Hempstead, New York his sophomore year, where he remained until he graduated in May of this year. Though you can tell from talking to Stasco that he really enjoyed his sport, it’s also clear that it took a major toll on his body. A toll that started in high school when he fractured both sides of his L5, and “after that, one injury kind of led to another,” he says. Stasco attributes many of these injuries to “improper movement and mechanics both in weight training and lacrosse” and shares that he has experienced major lower extremity injuries over the course of his career. Among them a partial tear to his patellar tendon and severe tendonitis. Fortunately, he is recovering and “feels better than ever” today, thanks largely to his desire to learn more about his physical conditions and really wanting to recover. However, he also states that chiropractic has played a huge role in this process as well. Chiropractic provided by Stan Velkovich, DC. 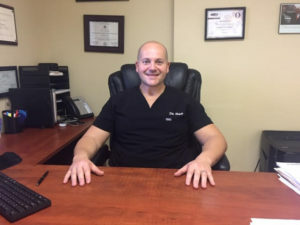 Velkovich, who is the founder of Islandwide Chiropractic, PC in Hempstead, New York and consultant for the NHL’s New York Islanders, shares that, although he sees a lot of lower extremity injuries when working with athletes, a majority of them actually stem from the hips. Oftentimes, it is a weak core that is to blame according to Velkovich, which is why he suggests athletes strength train this area both when working out with training staff and on their own. In addition to core strength issues, repetition of motion required by athletes like Stasco is another major contributor to the development of lower extremity issues according to Velkovich. This repetition comes from performing the same actions during trainings and events. These types of breakdown often appear in limited range of motion (ROM), which is why Velkovich makes assessing the athlete’s ROM the first thing he does. “If that’s not corrected, they’ll never reach their optimal goal,” he says. There are also certain chiropractic techniques than can help prevent and treat lower extremity injuries in athletes. Velkovich shares that his top one is Active Release Technique (ART). “I have used ART for about 18 years,” he says, calling it “the gold standard of soft tissue treatments” when working with athletes of all levels because it helps them perform at a higher level without breaking down. The great thing about using ART is “you don’t have to come see me 10 or 15 times a month,” Velkovich says. Instead, athletes typically see positive effects the same day, which is extremely important to keeping them in the game. This one issue alone was one of the top considerations Stasco says he had when dealing with his lower extremity issues because he knew he had only four years to play. “You have to get the most out of it while you can,” he says. Another technique Velkovich uses for issues related to the lower extremities is Graston technique. “Combined with ART, it helps achieve optimal performance in my athletes,” he says. Velkovich further states that chiropractic is only “50 percent of the equation” because successfully treating the athlete goes way beyond the joints and bones. It also includes knowing how to treat the muscle, an area of instruction that is often lacking in chiropractic schooling today. “We do not truly teach the students how to treat these muscles, only the bones,” he says. Ultimately, this causes the patients to keep coming back, and a huge reason why Velkovich has so many high-achieving athletic patients. He treats their entire structure—bones, joints, and muscles—and that, he says, is what it takes to help the pros achieve even higher levels of success.